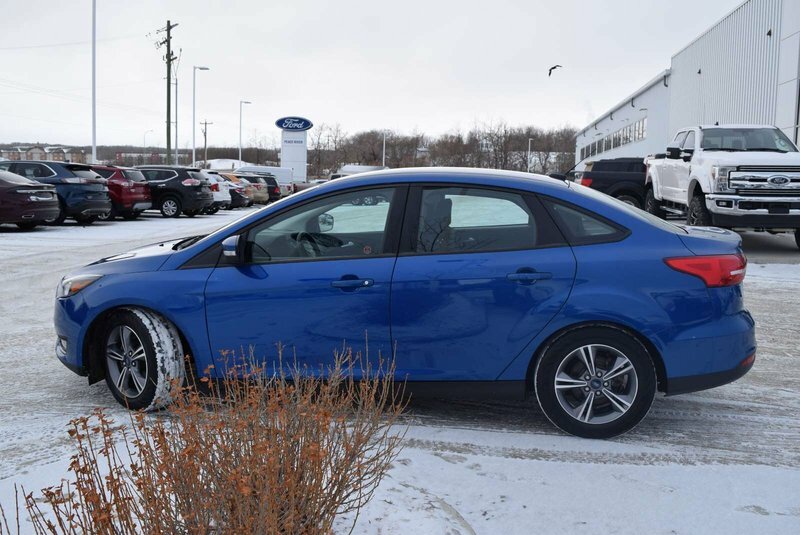 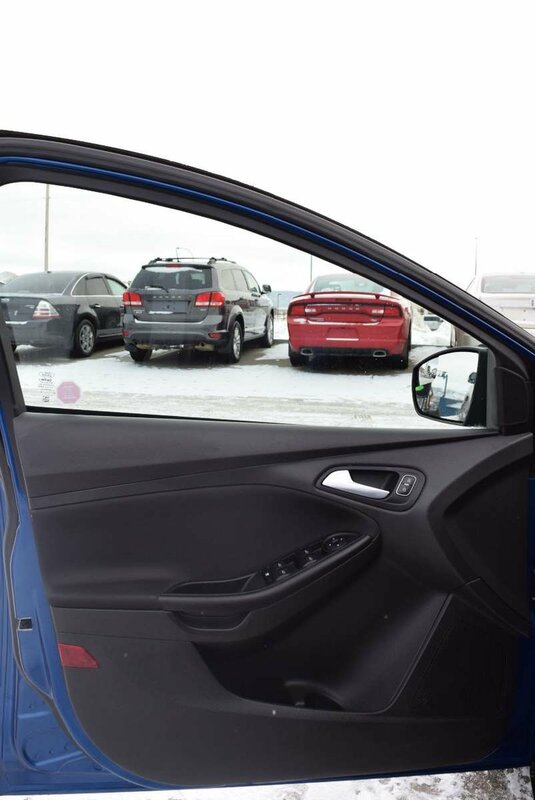 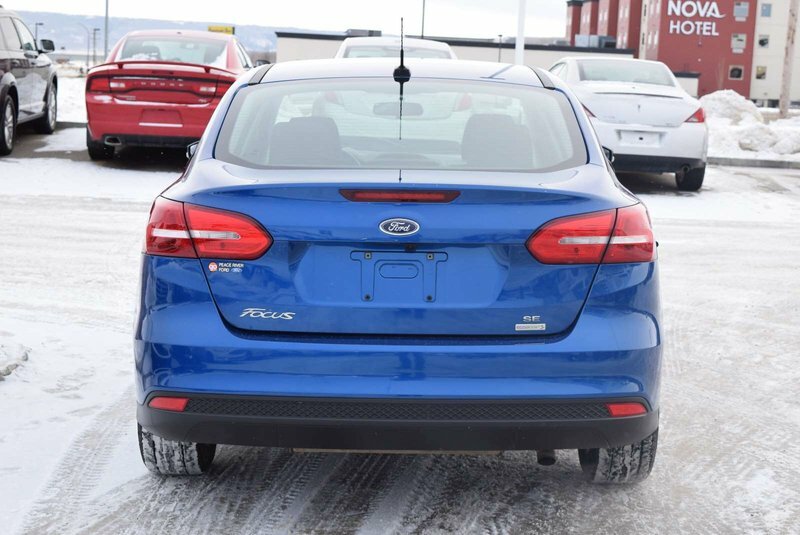 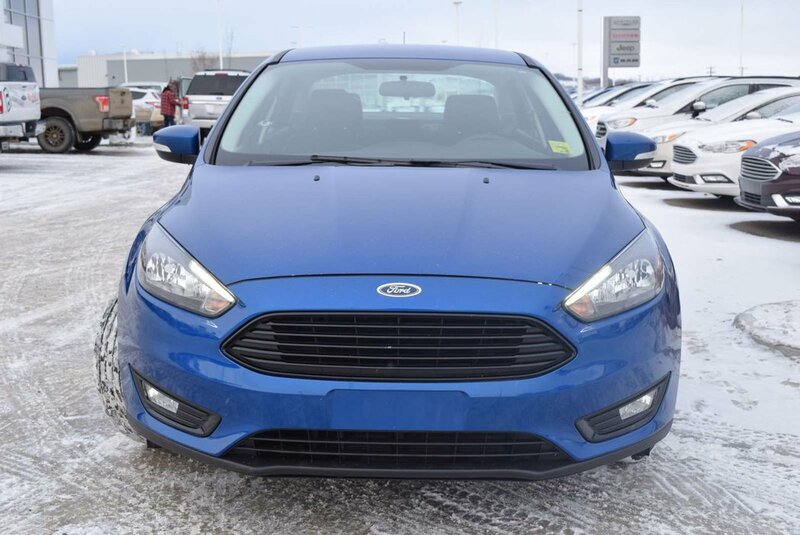 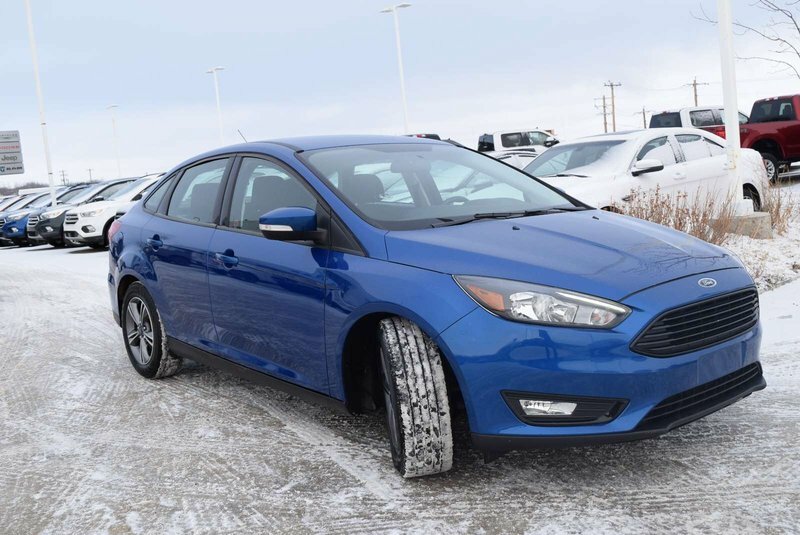 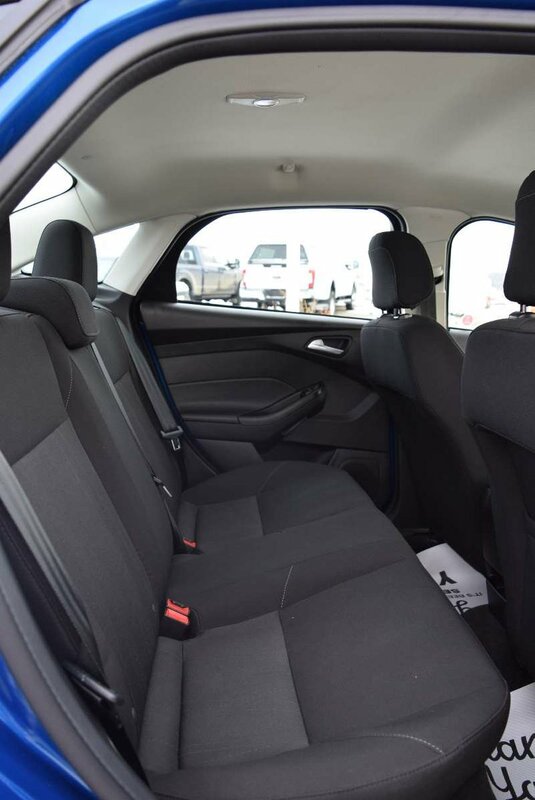 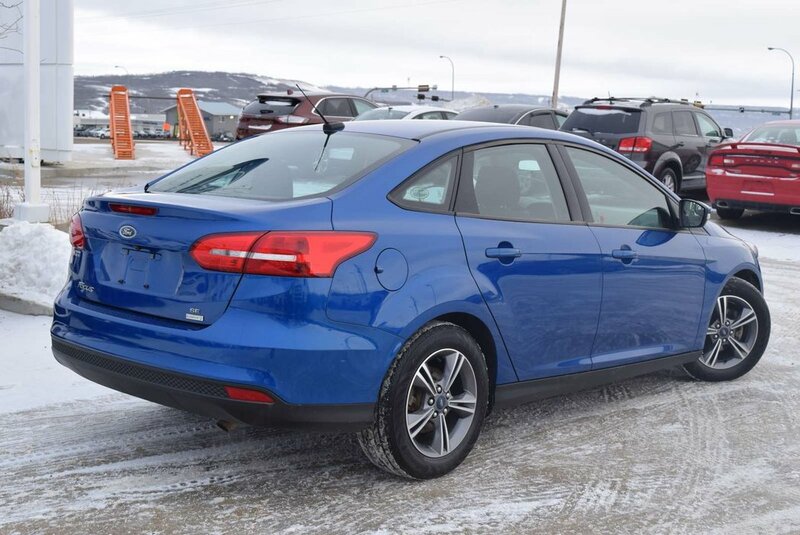 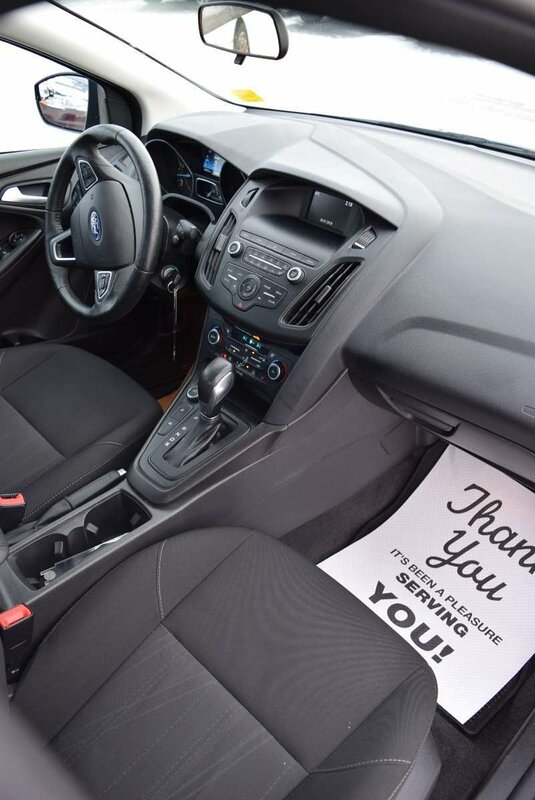 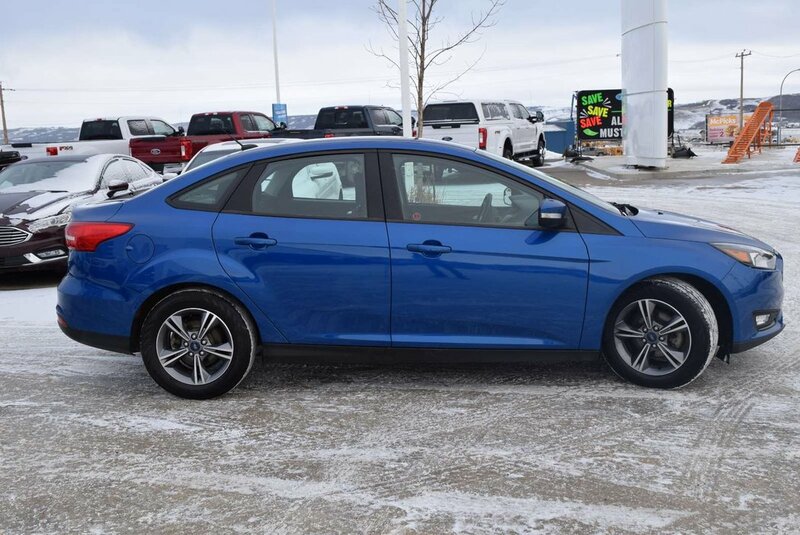 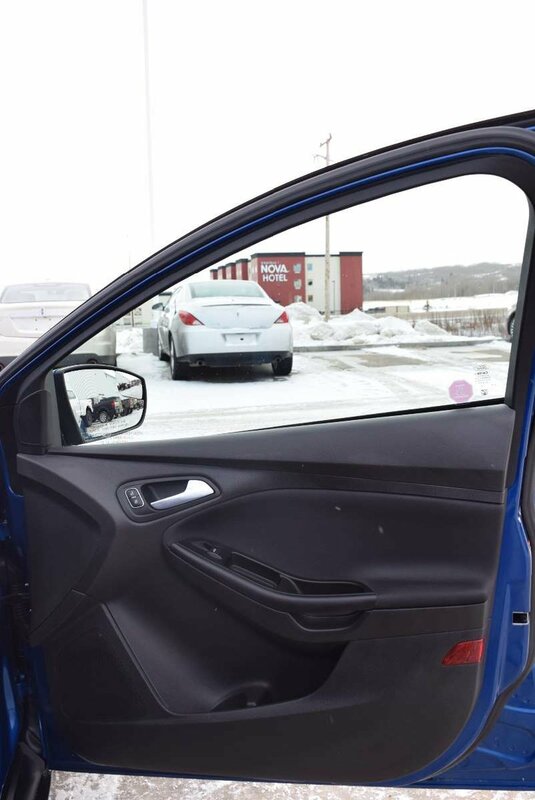 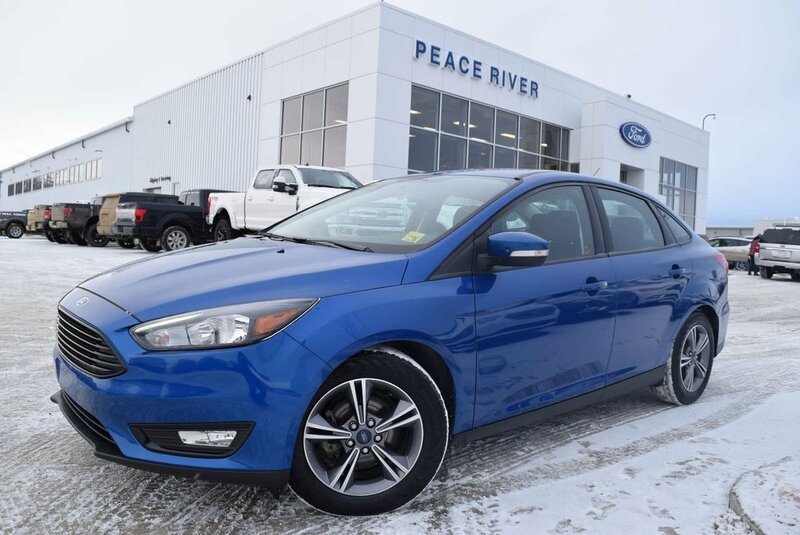 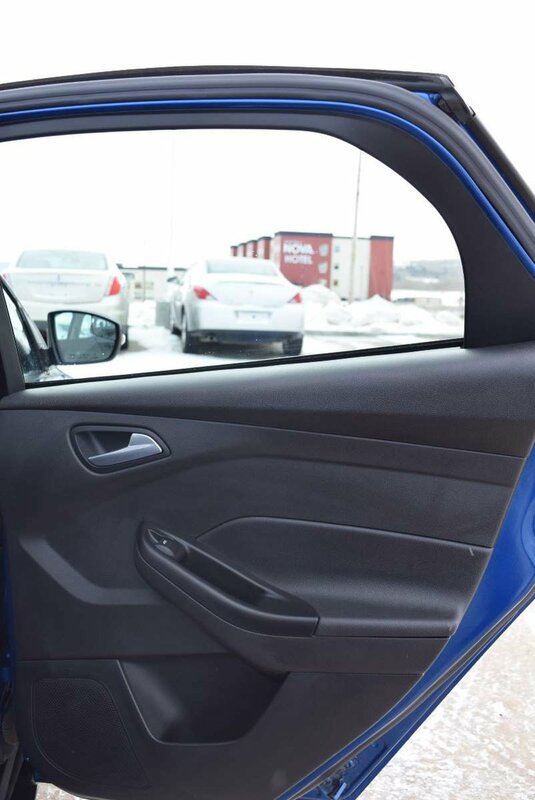 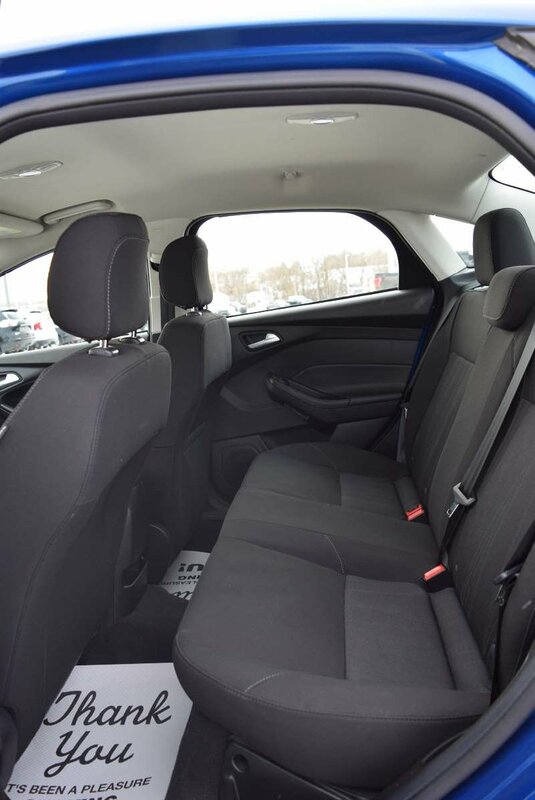 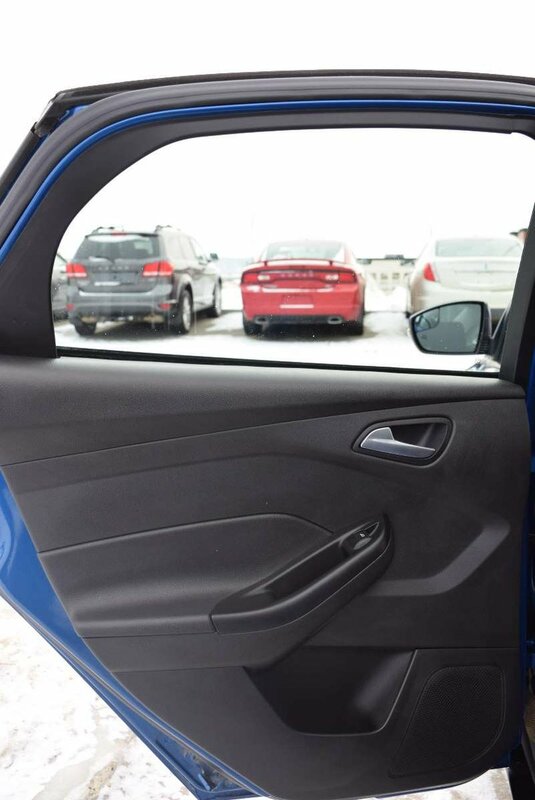 Winning praise from drivers just like you, our 2018 Ford Focus SE Sedan offers efficiency and looks incredible in Lightning Blue! 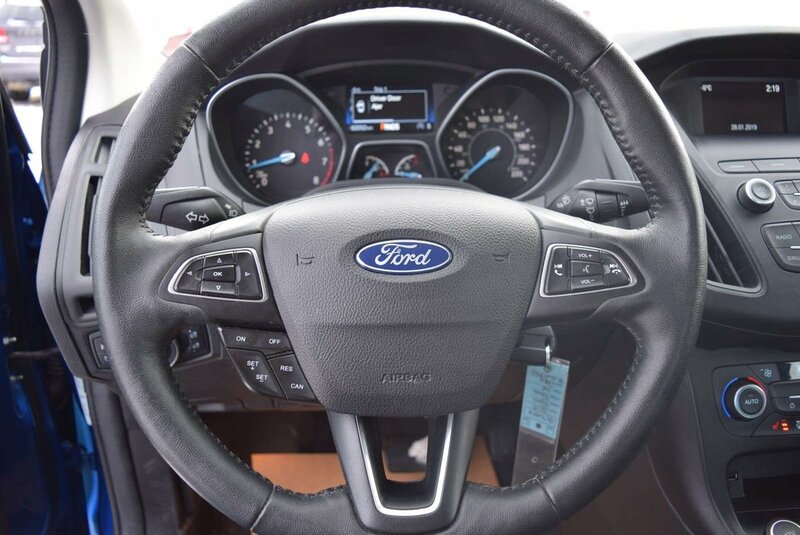 Powered by a TurboCharged 1.0 Litre EcoBoost 3 Cylinder that generates 123hp while perfectly paired with a 6 Speed SelectShift Automatic transmission for zippy performance about anywhere. 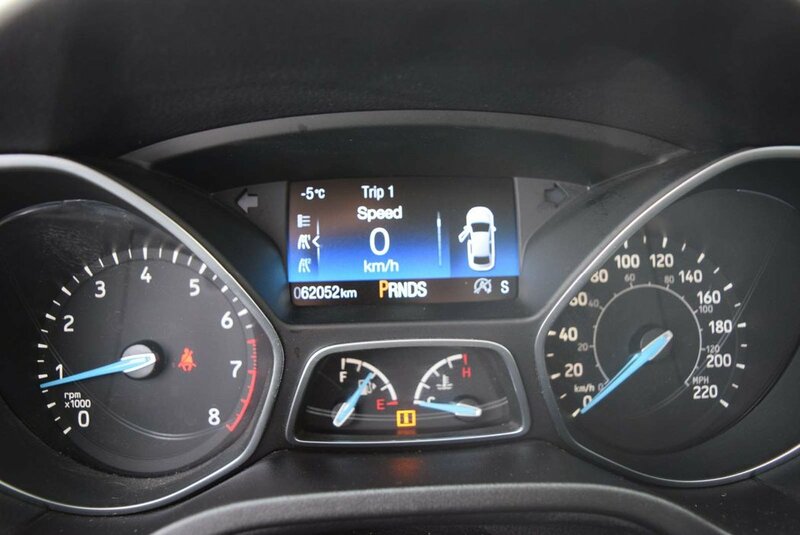 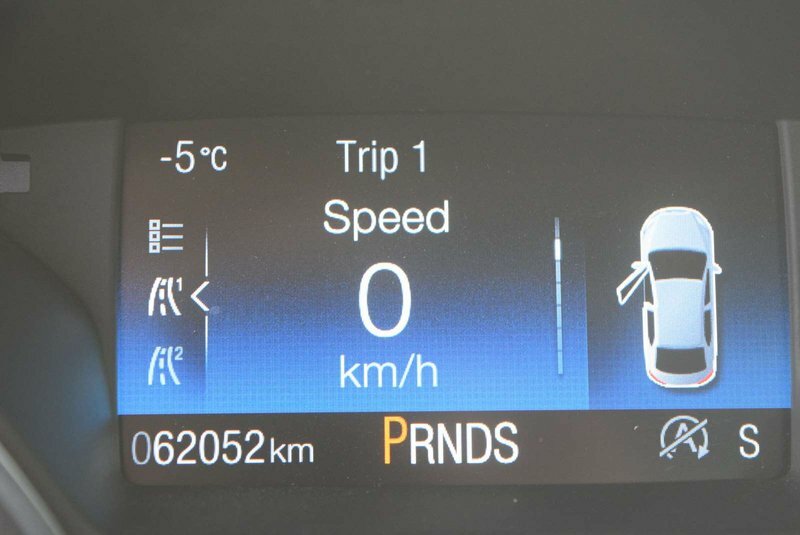 With this Front Wheel Drive machine, you will score near 5.9 L/100km and enjoy a balanced ride with composed handling. 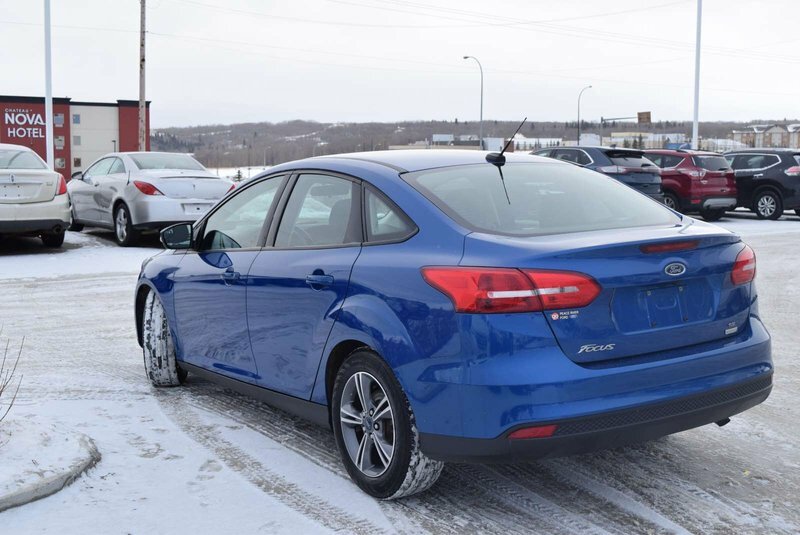 Our SE is sleek and sporty with a black grille and fog lights. 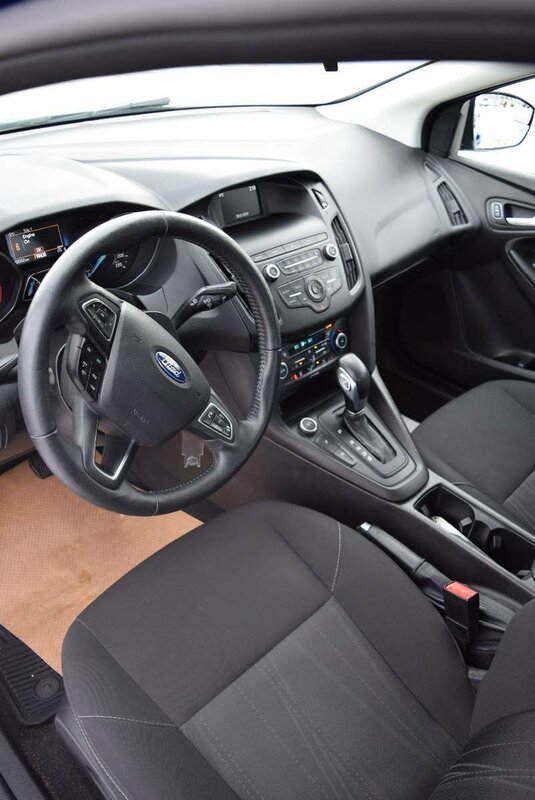 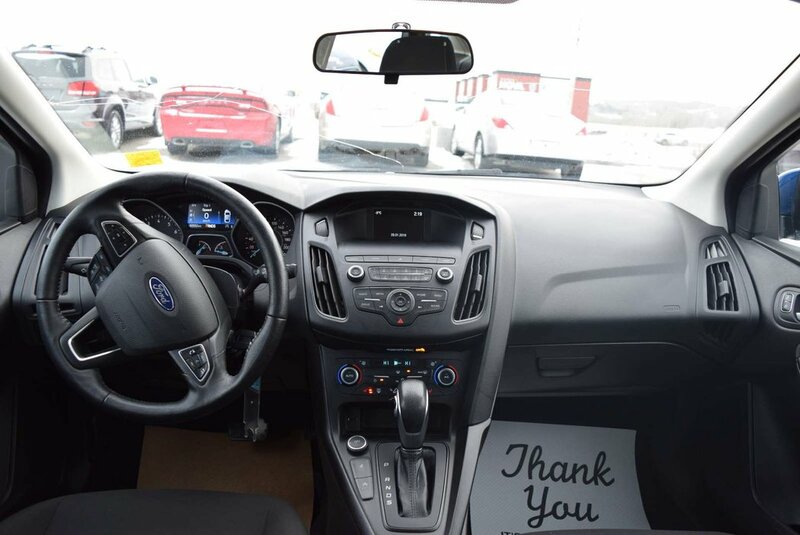 Everything about our SE was designed with the driver in mind with illuminated entry, comfortable seats, power accessories, cruise control, front center storage console and plenty of head and leg room. 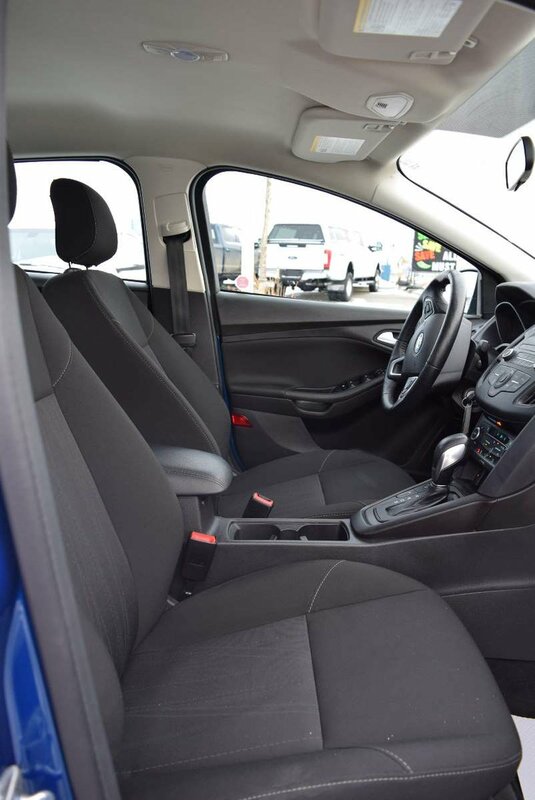 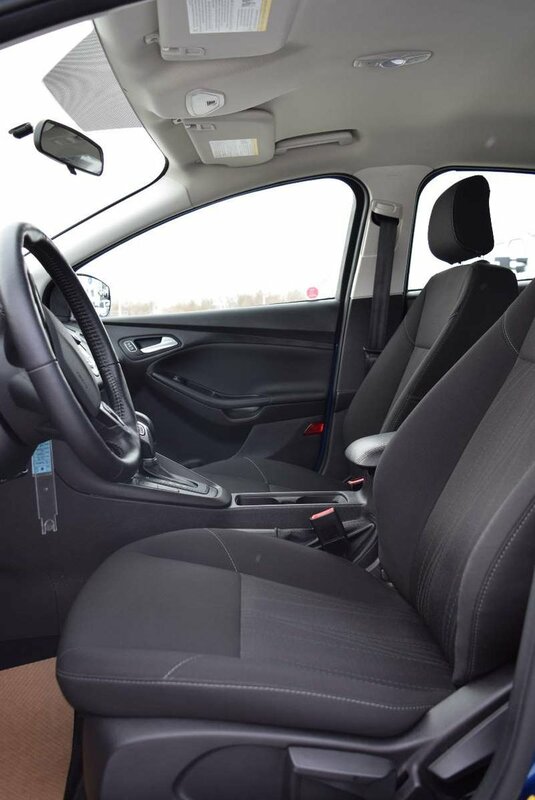 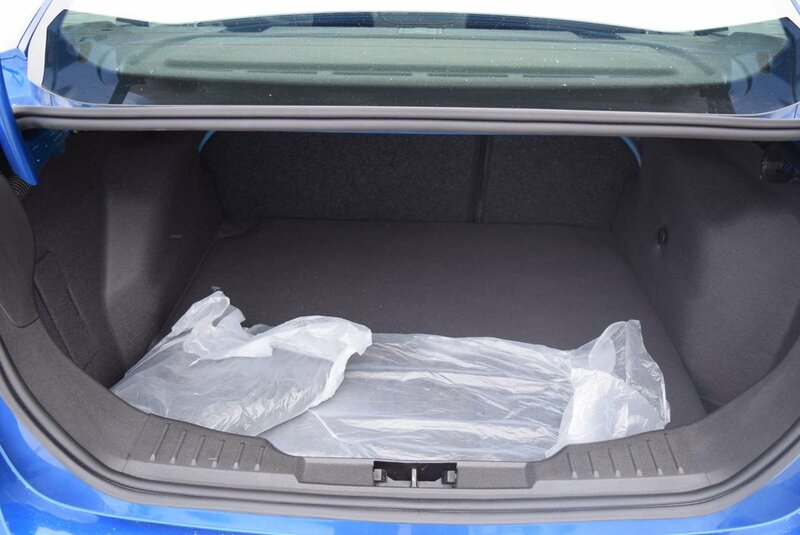 You'll like that it has ample of cargo space to keep your active lifestyle on the go with you. 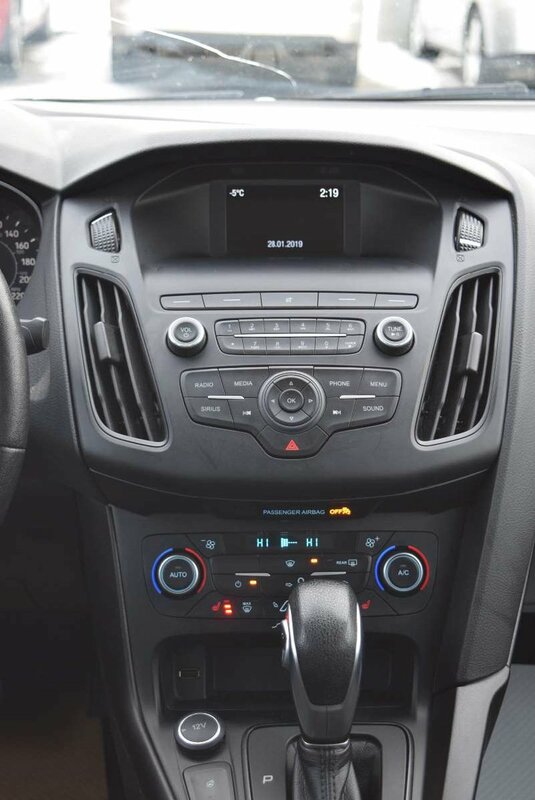 Maintaining a safe connection is a breeze thanks to the SYNC voice-activated phone and audio interface with an LCD display, a terrific sound system, available satellite radio, CD/MP3, and two smart charging USB ports.